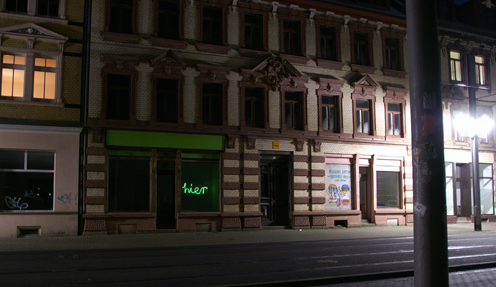 This installation consists of a glowing thread and nails that puts it into the shape of the german word for »here«. Over the christmas holidays and the turn of the years 2007 & 2008 it has been illuminating our place in a bright green color. For more information visit www.stefanriebel.de.